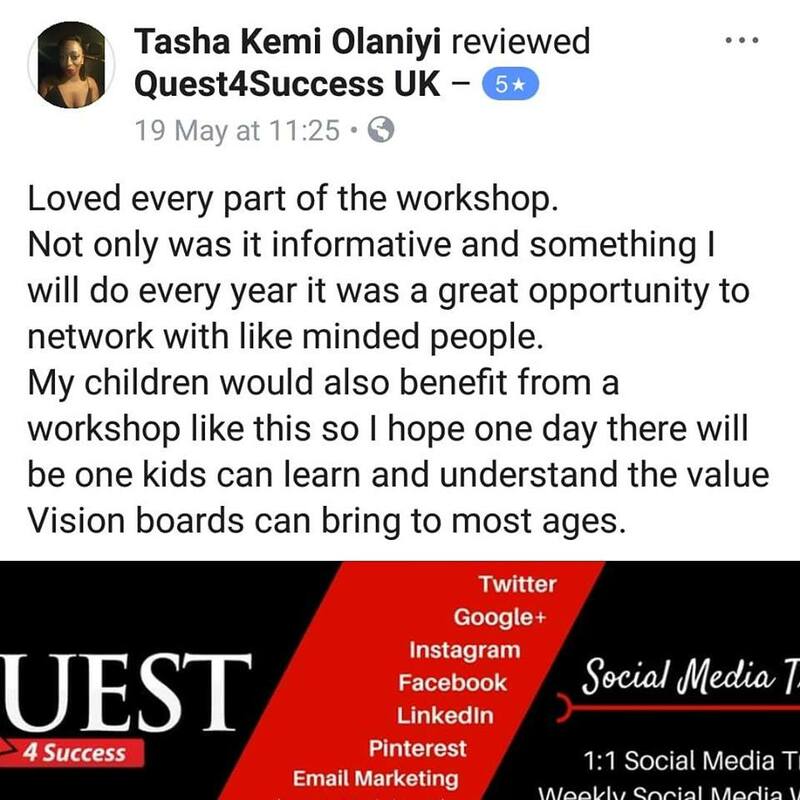 Quest4Success teach people and businesses to market themselves effectively online using Social Media, delivering training solutions in groups or 1 to 1’s. If you’re looking for a freelance Social Media Consultant to help your company build your online presence without the high cost of employing someone in-house, you’re in the right place. You’ve found the solution! Quest4Success offer a FREE consultation to find out all about you, your customers and both of your needs. Following this you will be invited to a face:face consultation to work on the training plan we will implement to get your desired results, followed by social media/website training sessions, 1:1 coaching or exploring goal setting via vision board creating. Quest4Success assist people to achieve their goals & dreams. 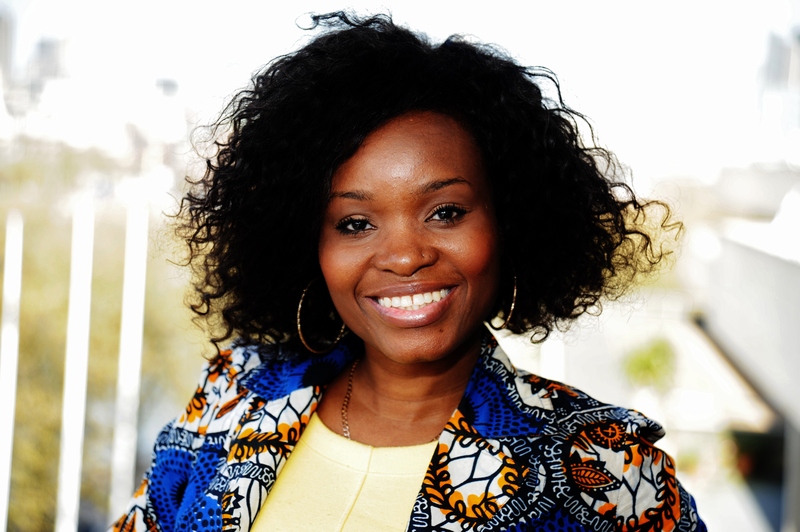 A qualified Life Coach, Consultant and Social Media Trainer, Tendai motivates and assists people to reach their potential providing them with the required tools to discover their purpose, determine and reach their goals and manifest their dreams via 1:1s, workshops and external group talks (public speaking). A range of 5 levels to choose from in each Social Media Network. Our levels range from Beginners > Intermediate > Business > Advanced > PRO. Training takes place in a choice of 32 offices across London including The Shard. All locations are centrally located. 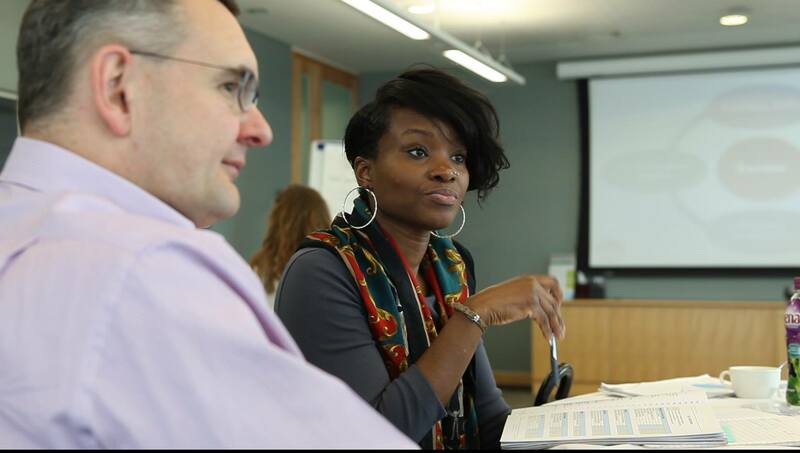 Life Coaching and Vision Board face:face sessions also avail across London venues. So What is a Life Coach? "....a person employed to help people attain their goals in life." A life coach is someone that assists and empowers others to make, meet and exceed personal and professional goals. This can include excelling in the workplace, becoming happy and fulfilled at home, exploring your potential and achieving ambitions. Life coaching is a true game changer. Coaching of any kind helps people to get from one place (state of mind or stage in a goal) to another. It helps you identify where you are stuck, over whelmed or not doing yourself justice in any area of your life and propels you to get where you REALLY want to be or to do what you REALLY want to do. Coaching sessions can be stand alone one of sessions, or a series of sessions on a regular basis, or as and when you feel you need them. The choice is yours. A typical coaching session looks at what is most important to you at the moment, and then where are with that specific goal and then where you’d like to be. To do this, we take time mapping out steps on how to achieve / attain / manifest that goal, working through obstacles and working on visualisations in the process. Coaching sessions with Ques4Success can be done face:face, on the phone or via video call. 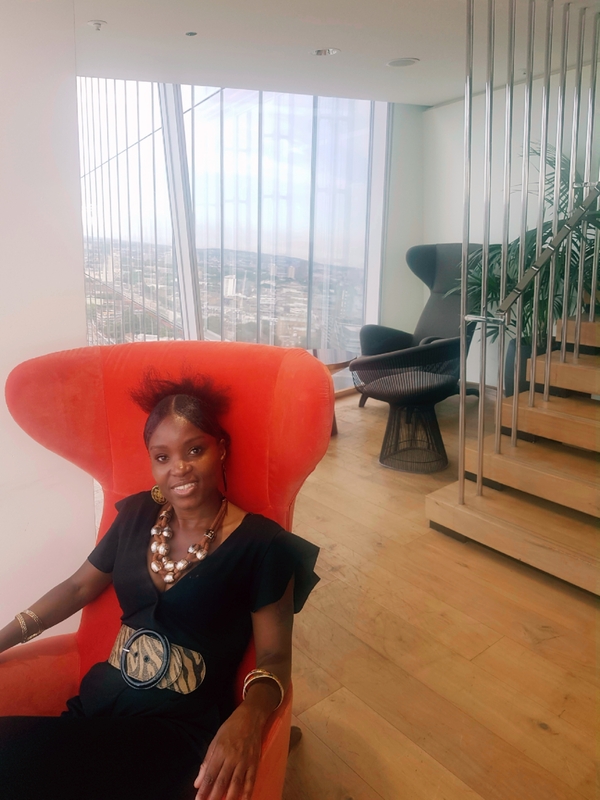 Face:face sessions take place in The Shard, or across 30 other offices across North, East, South & West London, at a time suitable for both parties. Visit HERE for more info. Vision Boards are a fun way to create the life you want for yourself. Some people find it hard to write down goals, long term or short term. Creating a visual board is an alternative version to writing a list of goals. Strategically, you can use the Vision Boarding process as a tool to help clarify, concentrate and maintain focus with an outline of your future life, which then helps you map out each specific life goal. 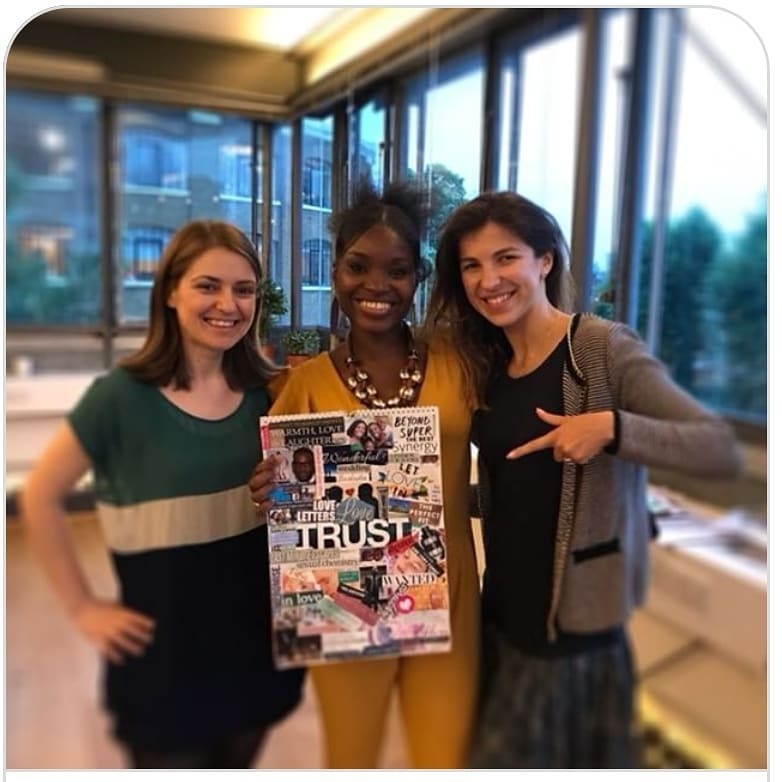 Vision Board Workshops are a GREAT way to set Goals with like mined people. Getting started is usually the hardest thing for most people when thinking about creating their Vision Boards. 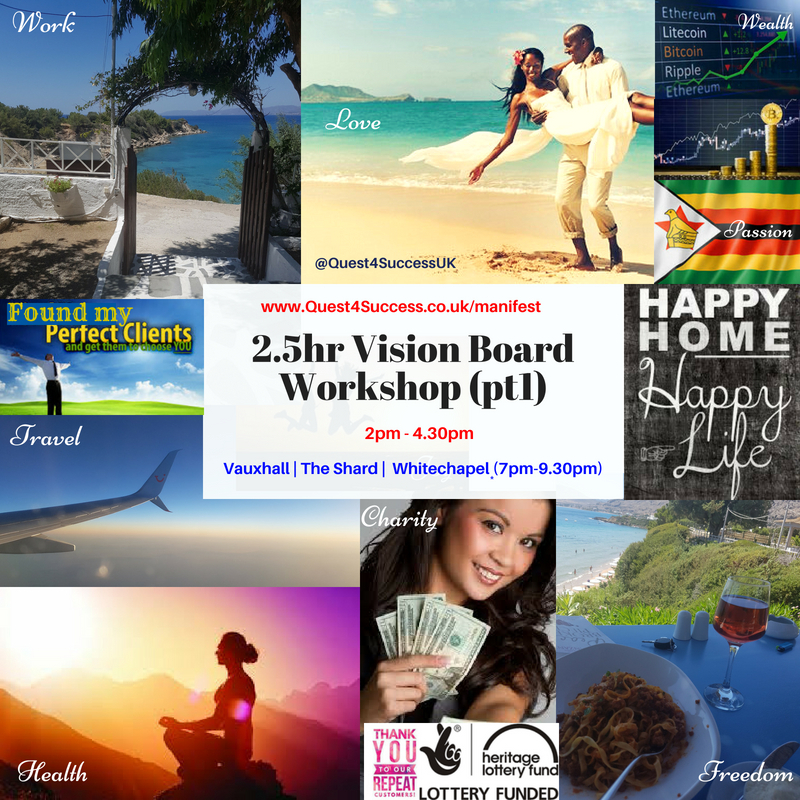 This Vision Board Workshop is all about discovering your purpose, manifesting your dreams and pushing past your fears & limiting beliefs. 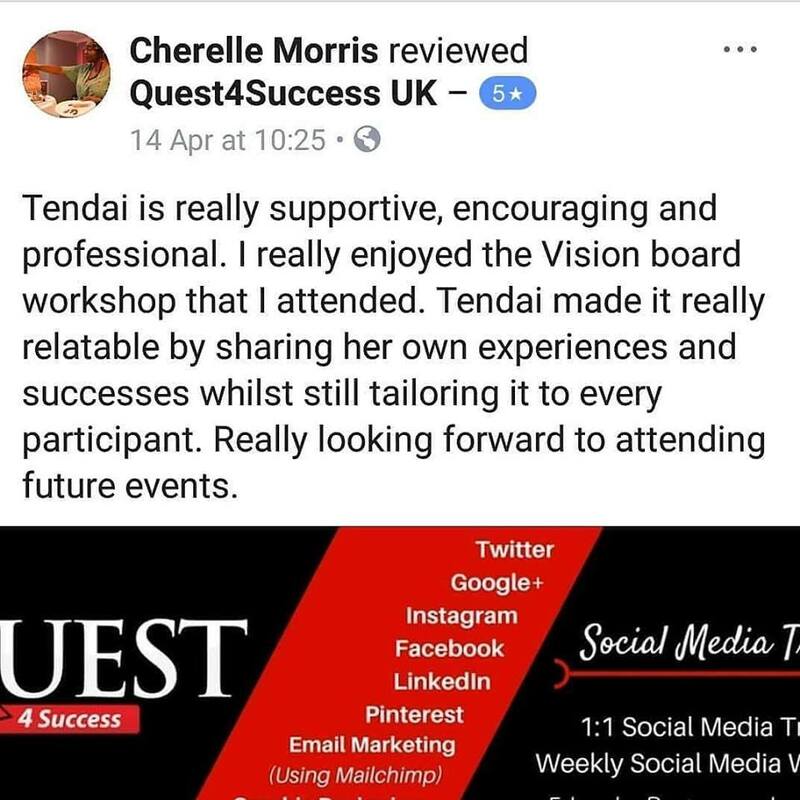 What Quest4Success Vision Board clients are saying…. What Quest4Success Social Media clients are saying…. 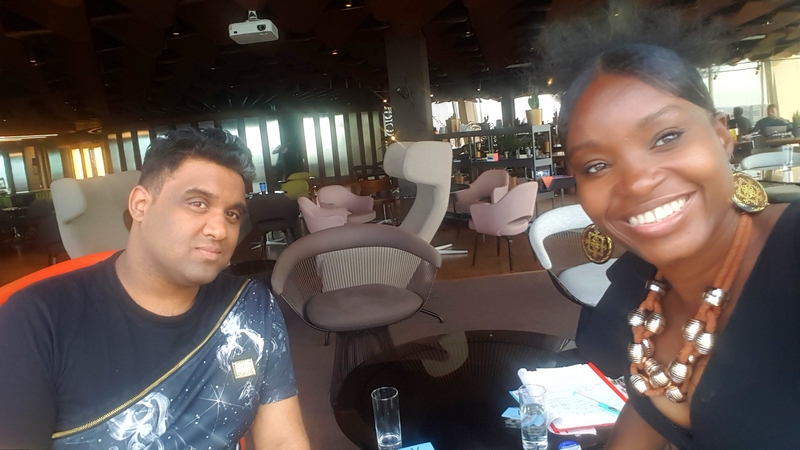 During my Facebook training with Tendai, I learnt how to look for insights on my page and posts performance and more importantly how to analyse it. She showed me the importance of checking times and days of best-performing posts and have a consistency on scheduling my posts. She also showed me how to invite people to like my page. After applying what I learnt, I had some immediate results and the period after this session shows a steep graph on page likes growth. After taking the Facebook workshop, the most important and useful part was increasing following, learning about basic page management, and how to set online targets. Everything was very well presented and well received by me, it’s working too! Nearly 100 likes in just over a week.